Though the Arizona Fall League is in the books, baseball isn't over for the offseason. Winter Leagues are going on in the Caribbean with top prospects getting in extra at-bats and innings before the 2019 season. Here's a look at some of the top ranked prospects who fared best over the week of Nov. 25-Dec. 1. Though he didn't put together any multi-hit games, Tatis continued his strong Winter League campaign with hits in five of his six games last week for the Eastern Stars. Baseball's No. 2 overall prospect posted just three hitless games in 14 played so far for his hometown club in San Pedro de Macoris. Tatis walked in his last two games, his first time walking in consecutive games since June 7-8 for Double-A San Antonio. Sure, it was only two games, but the third overall prospect arrived back in his home country with a bang. Serving as the Gigantes' designated hitter Thursday and Saturday, Jimenez clobbered a grand slam in the third inning of his Dominican Winter League debut and added a single. The top White Sox prospect and his team are in the middle of a tight standings table on the six-team circuit, just a game under .500 and three back of first place heading into Sunday's play. St. Louis' No. 20 prospect went hitless in his final three games of the week, but put himself on the list with a monster performance on Nov. 28. Playing against Obregon, the shortstop clubbed three home runs and drove in seven runs to lead his team to a 11-6 victory. It marked Urias' second straight day with a long ball after the 24-year-old belted a solo shot on Nov. 27. Urias added five walks for the week, giving him 33 with 32 strikeouts for the season. Playing opposite Urias on the night of the shortstop's big game, Obregon second baseman Paredes also pieced together a solid week. The Tigers' No. 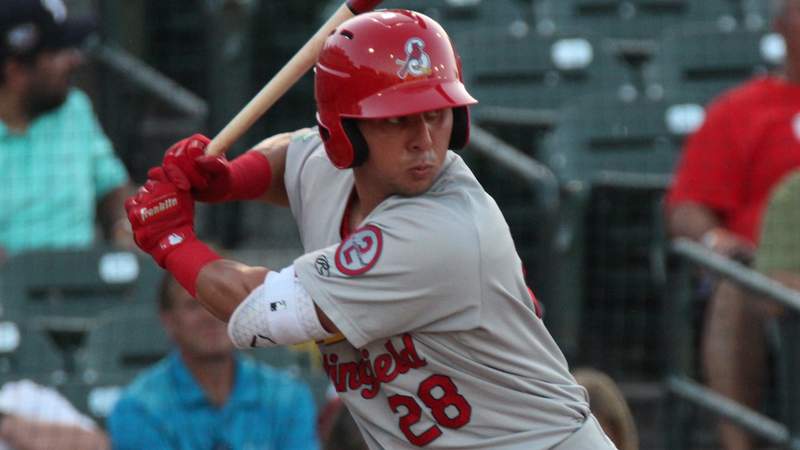 13 prospect notched hits in four of his six games, left the yard twice and boosted his average back over the Mendoza line after an early-season swoon. Since starting hitless in six of his first eight games, Paredes has gone without a knock just twice in his last 11 contests. The 19-year-old earned six free passes over the span of four games, nearly matching his total of seven from the previous 18. The second-ranked Giants prospect is breaking out at the dish after a relatively sluggish campaign at Class A Augusta in which he posted a .245/.313/.396 slash line over 124 games. Back home in Puerto Rico, the center fielder is batting .341/.357/.610 with three extra-base hits this week. While Ramos has yet to walk this winter, he's cut down on his strikeout numbers. The 19-year-old fanned 136 times in 124 games for the GreenJackets this year. He's whiffed just seven times through 12 contests so far in Puerto Rico. Though he surrendered four runs over three innings on Nov. 25, the No. 11 Astros prospect fanned six in the outing and rebounded with five stellar innings in his next. In his fifth start of the winter, the southpaw allowed just two hits and added four more strikeouts, dropping his ERA to 4.00. Valdez has struck out 18 batters through 18 innings, staying close to his pace from the regular season, during which the Palenque, Dominican Republic native fanned 129 in 103 innings over the top two levels of the Minors.